One has been the frontrunner to win the grand final of Eurovision 2018 from the very beginning. The other has dazzled ever since landing in Lisbon, watching her odds narrow day by day. And now, hours before the Semi-Final 1 jury show, the bookies believe that Israel’s Netta and Estonia’s Elina Nechayeva will sail through to the final. Israel, which has been the favourite to win this semi-final from the very first odds reveal, remains on top with odds as low as 11/8. Despite a somewhat disappointing first rehearsal, Netta has stayed strong, returning to her second rehearsal with stronger camera cuts, more attitude and a renewed sense of optimism. At the moment the bookies have her down as the clear winner. Following behind are Estonia with odds as low as 4/1. That puts her level with Cyprus and the Czech Republic, who are also as low as 4/1. Bulgaria, Greece, Austria, Finland, Belgium and Belarus round out the top 10 in terms of who will win this semi-final. The bookies believe these 10 acts will qualify for the final: Israel, Cyprus, the Czech Republic, Estonia, Bulgaria, Greece, Austria, Lithuania, Armenia and Belgium. That means Azerbaijan, Switzerland, Finland, Belarus, Croatia, Ireland, Albania, FYR Macedonia and Iceland are out. The non-qualifiers currently include fan favorite Finland. The bookies also think that Azerbaijan is out for the first time ever. Here is the update on algorithm. Israel is down to 6th. 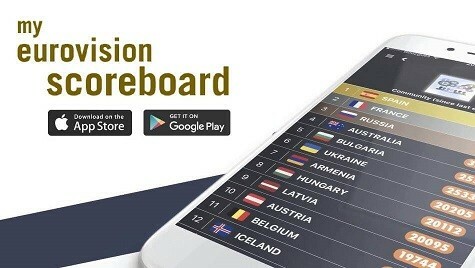 In semi 2, Sweden, Norway, Moldova, Ukraine, Australia, Denmark, Hungary, Netherlands, Poland and Latvia are predicted to qualify, and it ‘seems’ more certain than semi 1. Il risque d’y avoir pas mal de surprises ce soir. Je me réjouis. Que le meilleur gagne ! i was taken aback about Finland, it would be a shame for her not to go through as the act is certainly one of the best on stage. cyprus number one in the bookies ? whats’s wrong with the odds this year ? !!!!! The odds are largely people-driven. They are more likely to anticipate where the TELEVOTERS will go; but mark my words; the JURIES will see things just a bit differently. i will hope that saara can reach the final in this hardest tough semi ever! no monsters in the final no fun. Israel falling apart big time. How about Portugal get’s suspended for this?! Is this the jury votes? The top 3 is so bad. The press voted. Obviously they overestimated Switzerland’s chances. They crapped out on Switzerland and Azerbaijan. Did they really think Israel would collapse that bad? Did you see that CYPRUS IS THE NEW FAVORITE TO WIN THE WHOE COMPETITION ?!! Can we say it out loud? Switzerland to the grand final? Or is anybody scared Switzerland might actually qualify for once? Switzerland has a really great song. If this song were Sweden’s, nobody would have doubts about its qualification. So pity. It won’t qualify, especially in semi like this, song and performance is not so bad, but forgettable. Have you guys seen the press poll?!?! its INSANE who votes in this??? Tonight I’ll watch it as the Grand Final!! My top 10 are acting, really sad to lose so many good ones. Just hearing about the jury show and I believe Croatia, Albania, Cyprus and Ireland were among the best. Also read Bulgaria has a complete disaster, could be a shock non-qualifier. ESCUnited also watched the jury performance from Lisbon and they all agreed that this was Netta’s best performance since rehearsals started. One of them even argued she will win this semi. Wiwibloggs predicts also that she will sail through. So please don’t speak in definitive terms – because you clearly have no idea what juries will do. Thank you. Most juries are past contestants or past composers or past producers in ESC – they know all about this competition. No reason to think they will not share the same love that the ESC community has given this song and Netta making it number 1 in all lists coming into Lisbon. You have a clear distaste and hatred, to a point where you use derogatory language – thats totally your choice, but prepare to be disappointed tomorrow. And now Switzerland also left Azerbaijan behind. For some reason, the bookies went crazy about the siblings on the last 24 hours. SWITZERLAND is a 300/1 shot, it may as well be a1000/1 shot. But I was talking about the odds to qualify, not to win the contest. The winner market reflects on who might qualify. ie if you don’t qualify you can’t win. A 300/1 shot in the win market is unlikely to qualify, but we usually always see one or to unexpected shocks and surprises. Cyprus is not a dark horse…hello is like 3rd in the odds! WOW! Now Cyprus is first! So this is a very hard semi-final. This is my prediction (NOT OPINION. PREDICTION). People laughed at me putting money on Estonia but I really think they have a very good chance of winning! Same! To be honest, I just want Azerbaijan to qualify and I don’t care who makes up the remaining 9 slots. Albania will qualify due to Albanian diaspora in Austria, Switzerland, Greece, FYR Macedonia…..and all these countries are in 1 semi . Last year, I saw an ad from RTSH where they were shamelessly trying to get their diaspora ready to vote lol. For final countries must to collect minimum 100 points to go to final. Albania will gets maybe 12 points from Austria, Switzerland, Macedonia from televote that is 36 points, from Greece 10 points ,12 points go to Cyprus. This is 46 points they must collect 54 points from all juries and other countries in televote. Albania deserve to go to final, but we saw in past that juries doesn t support Albania very much (only one time in 2012). I’m surprised to see Lithuania as possible qualifier. Maybe it’s a dark horse this year. I think it deserves more to qualify for the Final than France! This morning one of Serbia’s singers was spotted leaving Armenia’s singer Sevak’s room which they spent night together after party. blonde one…. Lol, people thinking Albania will struggle to qualify, but they forget Switzerland, Austria, Macedonia, Greece and Belgium vote in this semi. Which is translated in roughly 56 diaspora televotes. Lol. And instead of complaining and sending “thoughts and prayers” to Eugent, how about ACTUALLY VOTING FOR HIM TOMORROW? It’s impossible for all of those to qualify. And considering half of them are almost certain non-qualifiers (not only by bookies, but by press, fans, polls, etc. ), you’re gonna be very sad tomorrow. Please vote for Belgium! I would die if Sennek doesn’t qualify tomorrow… :p It’s a SOS from Belgian fans who feel as bad as last year with Blanche who ruined her song in semi. Only televote can save it. I can’t believe you guys made FYROM a “lock”……you may live to regret that decision! as long as skinny estonia and finland qualify I agree! Albania 9th will never happen.